What was the voting experience like for African Americans in the Jim Crow era? 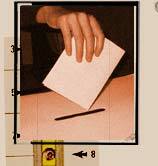 Is voting valued today as it once was? Explore these questions in this section. Sometimes a picture says even more than a thousand words. 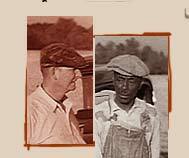 Examine some of the highly complex unwritten practices that predominated during the Jim Crow era. Do remanants of such behavior live on today? Investiate and decide for yourself. We value your input. Here's where you can share your ideas.